Indo-Tibetian Border Police Force (ITBP), Ministry of Home Affairs (MHA) has published a Advertisement for below mentioned Posts 2015. Check below for more details. 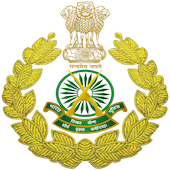 Educational Qualification : Inspector (General Duty) in analogous scale from other Central Para Military Forces or Central Police Organizations or State Government Police Organizations. How to Apply : Interested candidates will be apply & send your application along-with their bio-data in the prescribed proforma (enclosed) as Annexure-II together with up-to-date ACR / APAR dossiers (attested copies each page) for the last 05 years, DE/Vigilance Clearance Certificate and Integrity Certificate, should reach to given below address.. Address to sent Applications : "Sr. Admn. Officer (Estt. ), Directorate General, ITBP, MHA/Govt. Of India, Block-2, CGO Complex, Lodhi Road, New Delhi-110003".